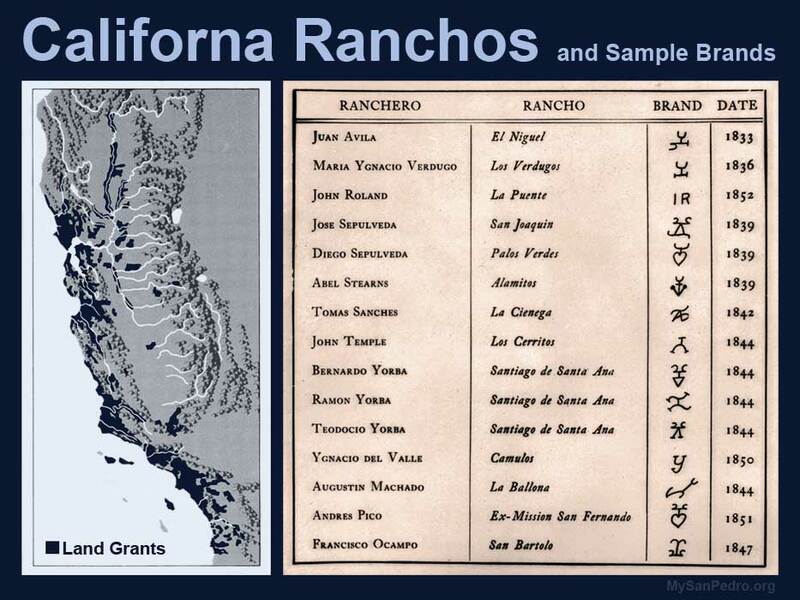 The Old Time Radio (OTR) program The Romance of the Ranchos includes several San Pedro related stories. 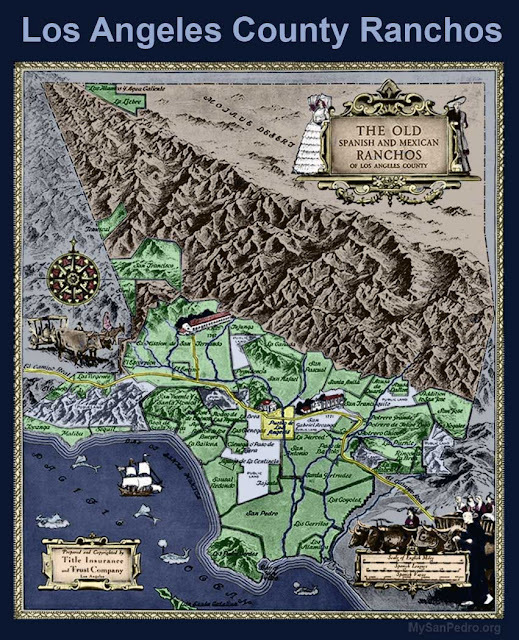 While every story is based on actual characters and events, historical accuracy sometimes takes a back seat to entertainment in these early infotainment productions. Each episode is a 1940s dramatizations of a 1930s romanticized short story by Palmer Conner derived from the land title records of the Title Insurance and Trust Company of Los Angeles (the same company which published the stories and sponsored the radio series). 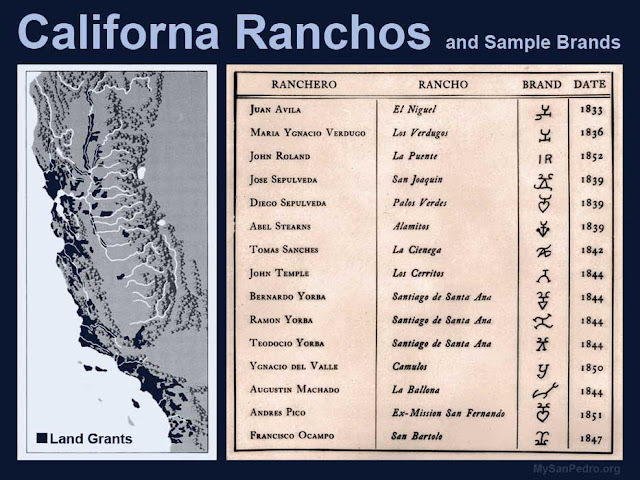 An excellent set of contemporary maps showing the final boundaries of the ranchos after the surveys were complete and the U.S. patents issued are available online from cartographer Jack Curtright. 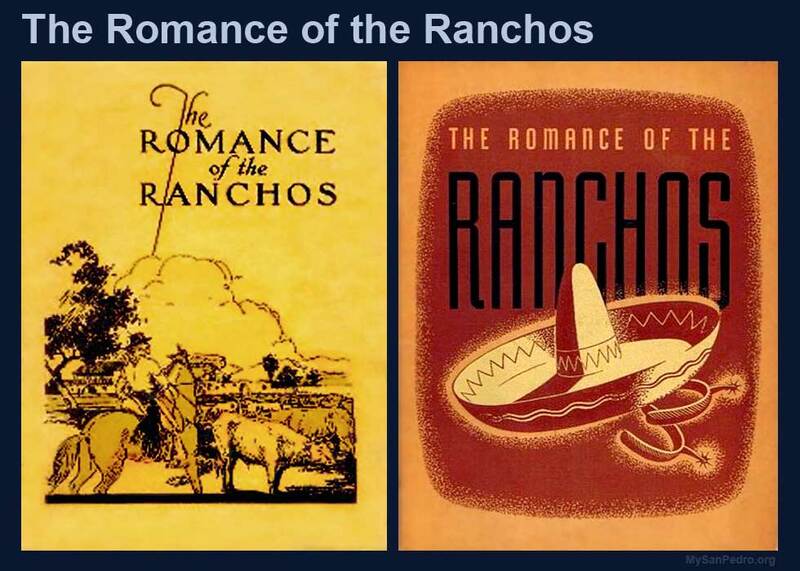 The Romance of the Ranchos starred the “man with a thousand voices,” voice actor Frank Graham (IMDb page), as the narrator/host. Graham did numerous radio programs, but today is best known for his animation work (filmography)—such as 2 of Tex Avery’s 1943 classics, Red Hot Riding Hood (narrator and wolf) and Dumb-Hounded (mayor and the killer hounded by “Droopy Dog”). Use the next and back buttons on the player (above) to toggle between episodes or click on a specific title (below) to download the mp3 file from the Internet Archive and open in your own media player (the mp3 files are 6.3-6.7 MB each). All 35 episodes are available at the Internet Archive for listening or download (Location 1; Location 2). You can read much more about the original OTR program at the excellent Digital Deli page (or get the bare facts from the RadioGOLDINdex page). Store Products Safely-Make beyond any doubt that compartments that hold synthetic compounds are fixed and fit as a fiddle.Jennifer Aniston Wrinkles This forestalls releases and steady off-gassing of synthetic compounds.